Occasionally a raging blast, occasionally a tedious bore, it’s big and dumb and often awesome, but not often as awesome as it could have been. Full of overt Jaws homages, it pushes up close to Piranha-style absurdity, only without the gore and skin. It waffles between being a serious action movie that tries to have emotional weight and wounded characters and a winking, campy, creature-feature schlockfest. When it’s the former, it’s a generic, lifeless slog. When it’s the latter, it offers a reasonably entertaining, though entirely forgettable viewing experience. And that’s the problem. The Meg isn’t good enough to be good or crazy enough to be as fun as it should be. At nearly two-hours long, it spends too much time on bland, stock characters we don’t care about and asides that pander to the Chinese co-producers. The plot unfolds like a paint-by-numbers giant shark movie. The reluctant hero acts heroic, though reluctantly. The shady billionaire with a secret agenda acts like a shady billionaire with a secret agenda. The couple who looks like they’re going to fall in love, falls in love. But none of that is why audiences will see this movie. 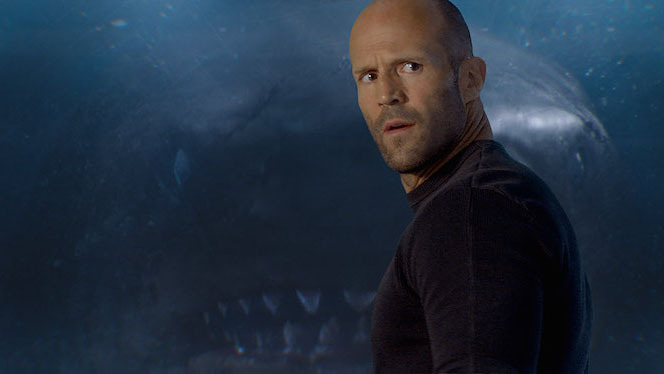 We want to see Jason Statham fight a giant shark, end of story. We get that, but not as much as we want. Everyone’s favorite mid-rent action hero plays, well, Jason Statham. This time he goes by the moniker Jonas Tyler, but it could be Deckard Shaw, it could be Arthur Bishop, it could be Lee Christmas—you get the idea, he plays Jason Statham. (Though he doesn’t play Chev Chelios, that’s a special, sacred role.) He’s an alcoholic former rescue diver, haunted by the people he lost, compelled to participate in one last job by a set of contrived circumstances. (Also, though he’s supposed to be a drunk who subsists solely on beer, he still has a sweet six-pack, go figure.) Through some scientifically dubious claims, the rescue mission unleashes a megalodon, a giant, 75-foot, supposedly extinct prehistoric shark—which Jonas once encountered, though no one believes him—that then goes on a rampage. Jonas is a flat, cardboard cutout of a character, but the supporting players are so stiff and single-note he appears positively nuanced in comparison. 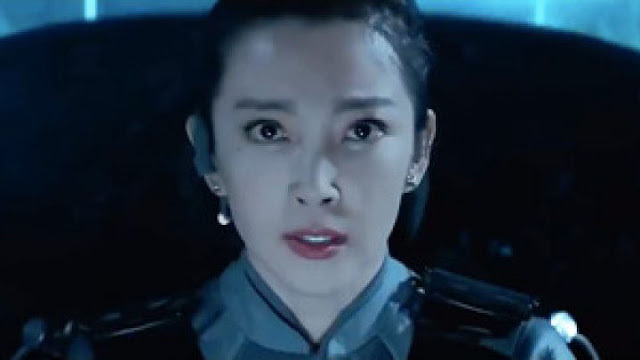 Bingbing Li plays Suyin, lead scientist, headstrong mother, and love interest. Cliff Curtis plays Mac, an old pal who still believes in Jonas and outlives his purpose after like 15 minutes. Ruby Rose shows up as Jaxx, the edgy tattooed woman who says vaguely tech words, like “hack” and “computer,” and has a name that ends in a double-x. Page Kennedy fulfills the sassy black comedy relief portion of the program. And so on. At least Rainn Wilson, who plays the somehow-a-billionaire who writes the checks for this deep-sea expedition, has a fine time chewing the scenery. He and Statham appear to be the only ones aware they’re making a cheesy monster movie. Oh yeah, there’s also a precocious child, because of course. Based on the novel Meg: A Novel of Deep Terror by Steve Alten, The Meg has been in the works for more than 20 years. Disney bought the rights when the book was published in 1997, and it wallowed in a development purgatory ever since with multiple directors and stars attached to various versions. I haven’t read the book, but people love it and are apparently bummed this isn’t more of a horror movie. Eli Roth was recently on board to helm, but ultimately Jon Turtletaub (National Treasure, 3 Ninjas, Cool Runnings) took the helm. Again, when the film centers on the action, it’s enjoyable enough. 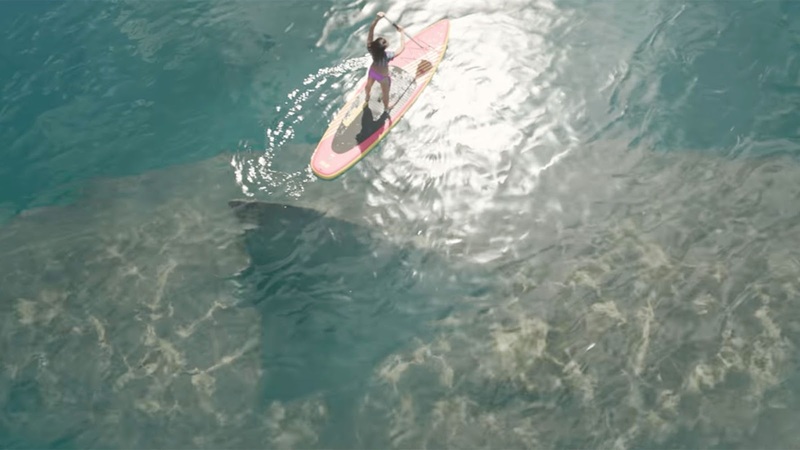 It’s a massive shark jumping out of the water at things, what’s not to dig? The rest is the cinematic equivalent of a fart noise. 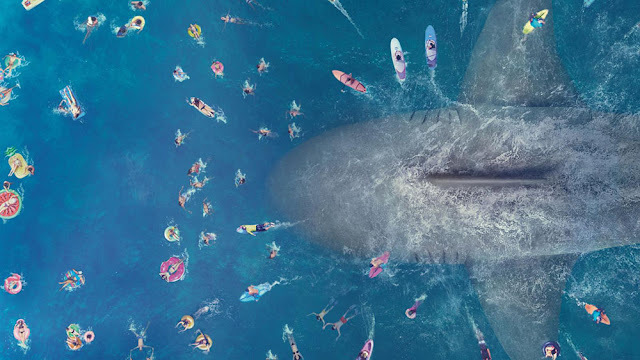 I had a decent time watching The Meg, and I don't even mind the middling special effects, but it’s hard to recommend. It’s far too long; cares too much about terrible, uninteresting characters; and, like most monster movies, spends too much time with people and not enough time with the creature. And thanks to a toothless PG-13 mandate, it misses opportunities for gleeful, beach-front carnage and ridiculous, blood-in-the-water mayhem. Even in the giddy bits, it has no staying power, stands barely above similarly themed Syfy fare, and never amounts to anything more than a momentary cable-quality distraction.